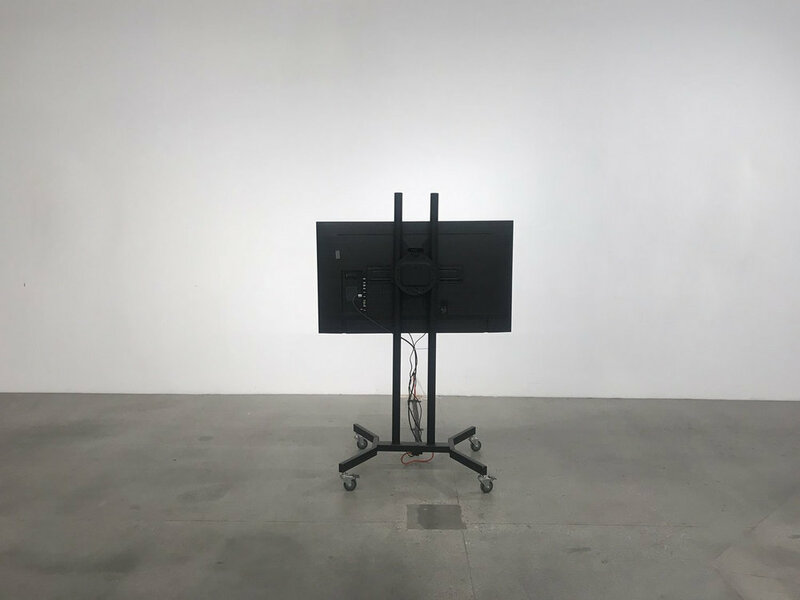 flat screen, webcam, mac mini, youtube live stream, flat screen stand, hdmi cable, usb cable, power cord, zip tie, gaffers tape, hole in wall, wood chips, 2018.
youtube live video stream, 100 hours 37 minutes 59 seconds, 2018. Single-channel HD video, 4 minutes 8 seconds, 2018. Single-channel video, 5 minutes 54 seconds, 2018. Single-channel HD video, 4 minutes 49 seconds, 2018. Single-channel HD video, 5 minutes 16 seconds, 2018.